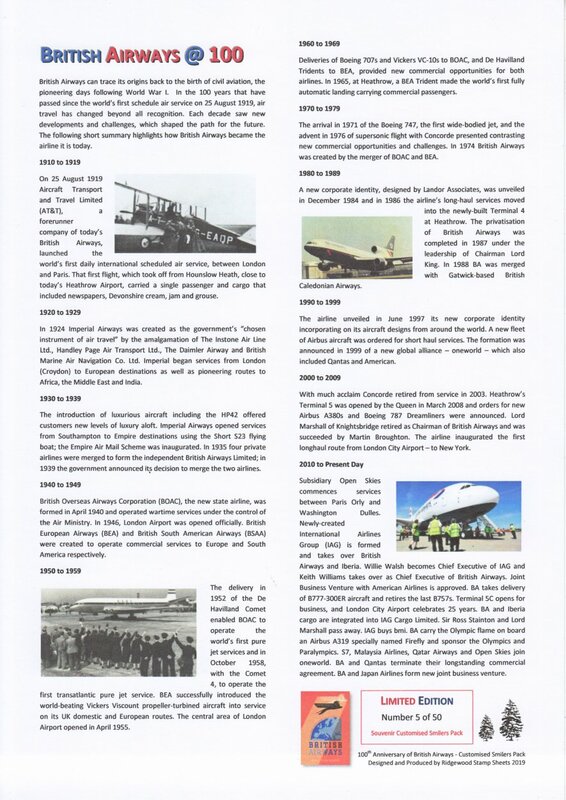 Each quarter we do our best to provide you with an update on any Smilers related information, news snippets and anything else we think you might be interested in! Full details of all new issues will appear under the New Issues menu option. Earlier News Reports (e.g. Q1-18) are provided in Adobe Acrobat pdf file format and are generally available during the first couple of weeks following the preceding quarter. Click on this link News Archive to go to the Smilers News Archive page. Select Check Once a Day and provide your e-mail details to track all changes to this web page. It's Free!! Jersey Post have announced the planned issue on the 28th April 2019 of a commemorative sheet celebrating the 60th Anniversary of Jersey Zoo. Jersey Zoo is operated by the Durrell Wildlife Conservation Trust, and the Jersey Post Commemorative Sheet is made up of twenty Jersey Flag, UK Letter stamps adjoined to labels. 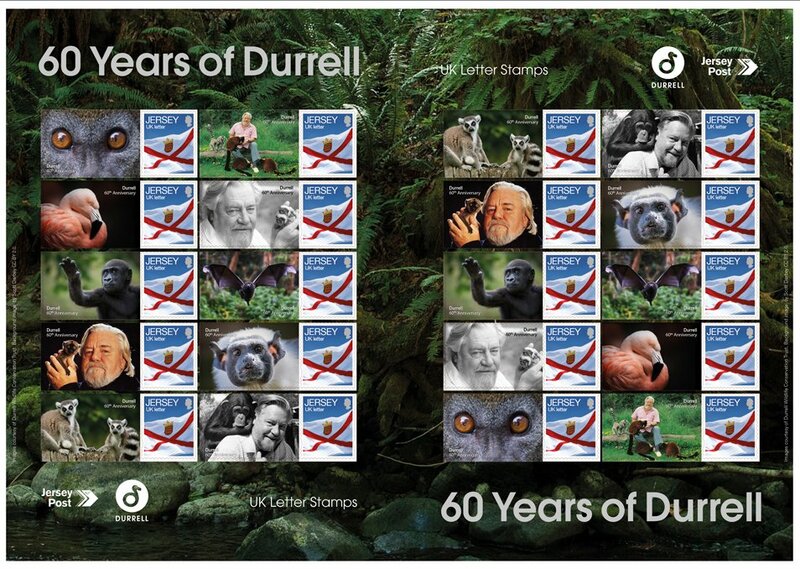 The labels feature images of author and naturalist Gerald Durrell, together with several species found at Jersey Zoo. 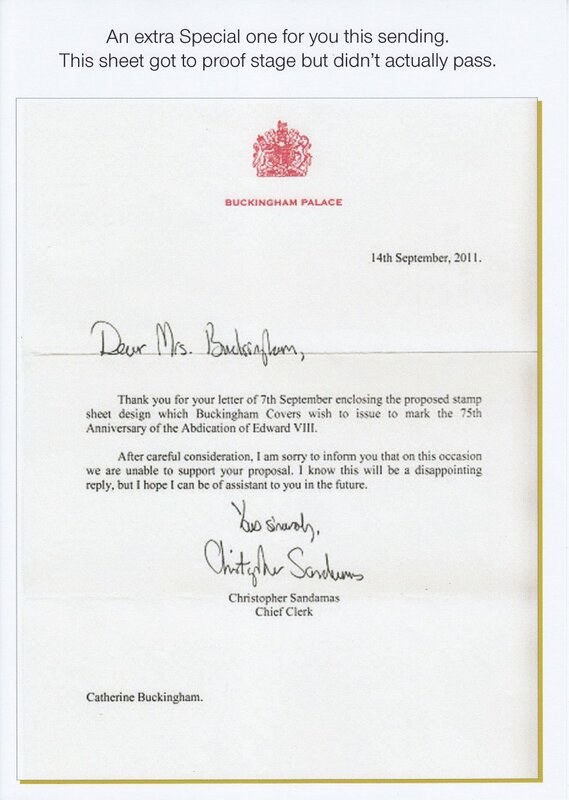 The next example of Royal Mail Smilers projects that never saw the light of day comes from the Buckingham stable and is a sheet that would have seen the light of day were it not for the intervention of the Palace! In 2013 Royal Mail issued a Mini Sheet celebrating Underground Posters Art as part of their 150th Anniversary of the London Underground issue. One of the stamps within the mini sheet (87p) featured a poster of the opening of the Victoria Line in 1969 and this year is the 50th Anniversary of the Victoria Line - hardly possible for those of us who can remember it opening! 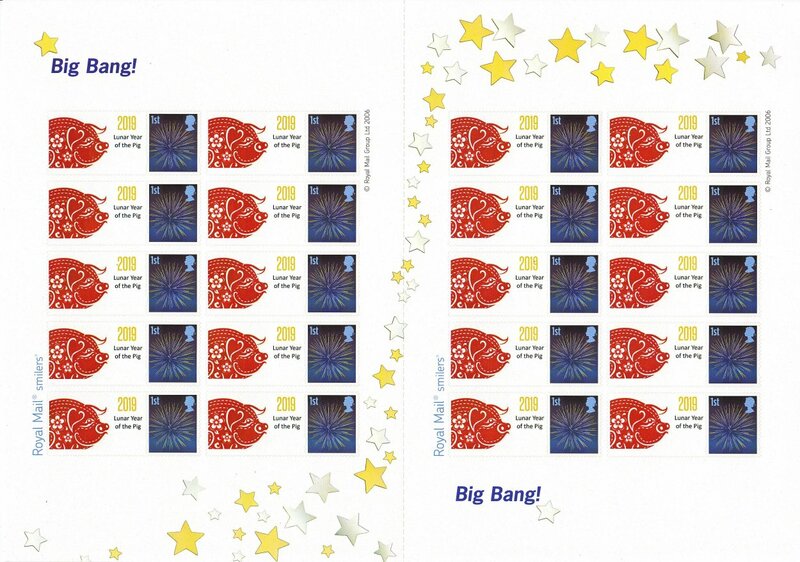 We at Ridgewood are delighted to announce an innovation in Customised Stamp sheets. 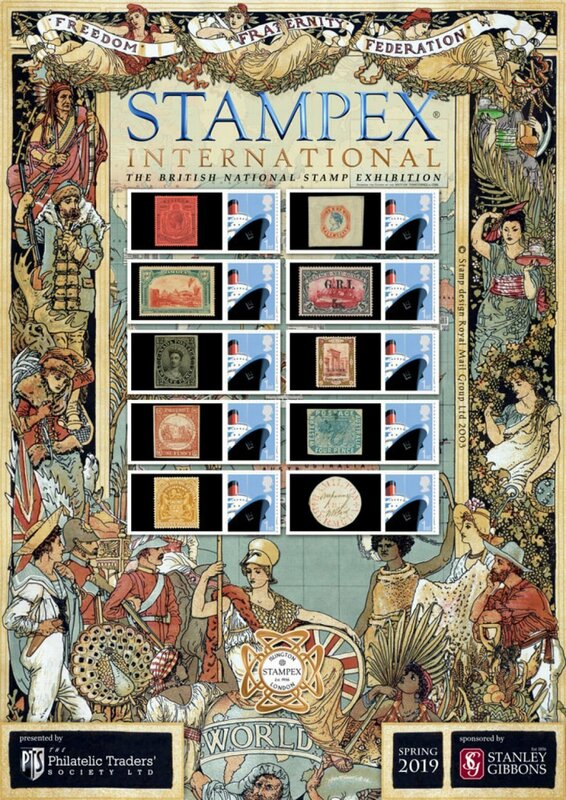 With the demise of the Royal Mail Business Customised service in mid-2018 we have been left with a very few STAMPEX sheets remaining before we draw a veil over this chapter of customised stamp sheet collecting. Or so we thought! The arrival of the 150th Anniversary of St Pancras Customised Stamp Pack last November, a product devised by Heritage Media Ltd. for St. Pancras Station's 150th Anniversary celebrations, got us thinking. What if we could breathe new life in to some of the old Smilers sheets that exist and perhaps create new collectible items of interest for Smilers collectors? Our first product along these lines is a souvenir Smilers cover out tomorrow timed to coincide with Royal Mail's Heroes and Defenders issue. 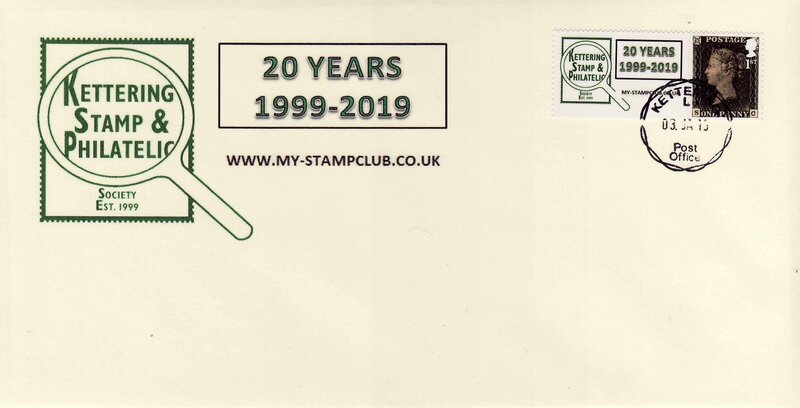 We have produced a limited number of Smilers covers (25) bearing a pair of 16 year- old Smilers stamps/labels which, hopefully you will agree, has breathed new life in to the stamps/labels. Click on the image to buy this cover from our eBay shop (priced £5.95 +pp) or alternatively drop me an e-mail with your requirements. 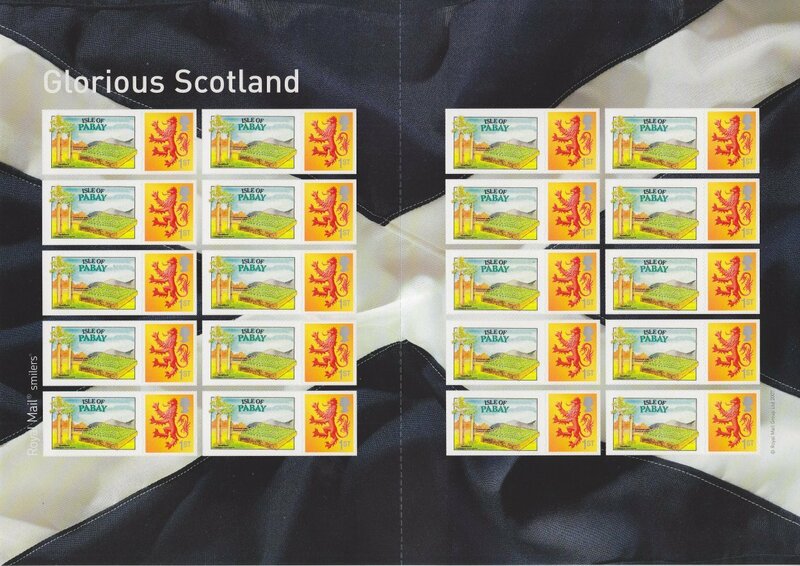 We can supply a complete set of 5 covers with all stamp/label combinations from the sheet for £25 incl. p+p. 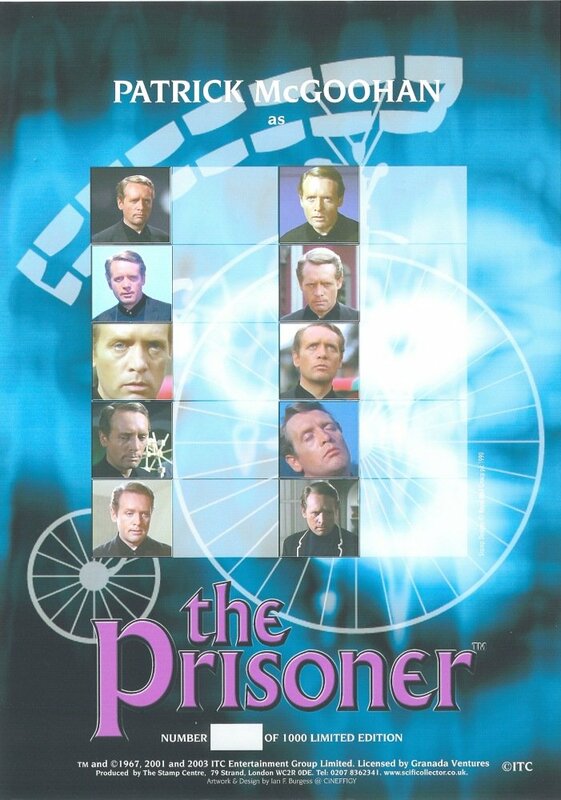 Other products are available as you will see in our eBay shop based on Royal Mail's Heroes and Defenders/Marvel issue, and here's just one we thought worked really well. 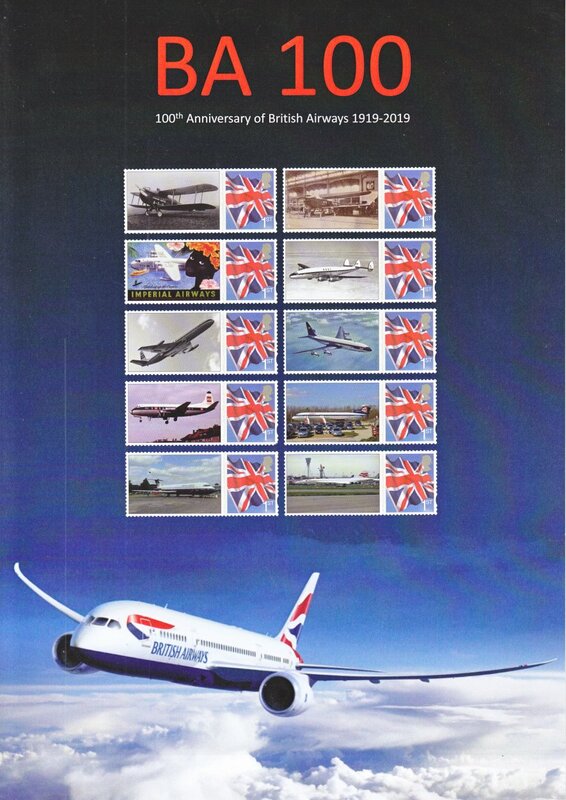 Finally, we are very pleased to announce the arrival of our BA 100 project! To all those interested in Universal Mail UK Strips, my apologies for the long silence since the last update, but it's been quite an uphill battle to nail down details surrounding the latest new issues! That said, there is light at the end of the tunnel based on additional information forthcoming from Universal Mail UK who have been very helpful recently in tracking down this missing information. Whilst not fully complete I have made progress and I feel the time is right to share this with you. Then there are the Bespoke issues UMUK alerted me to but can't supply. When I contacted some of the above Bespoke outlets they could not supply them to me because UMUK had yet to supply them! 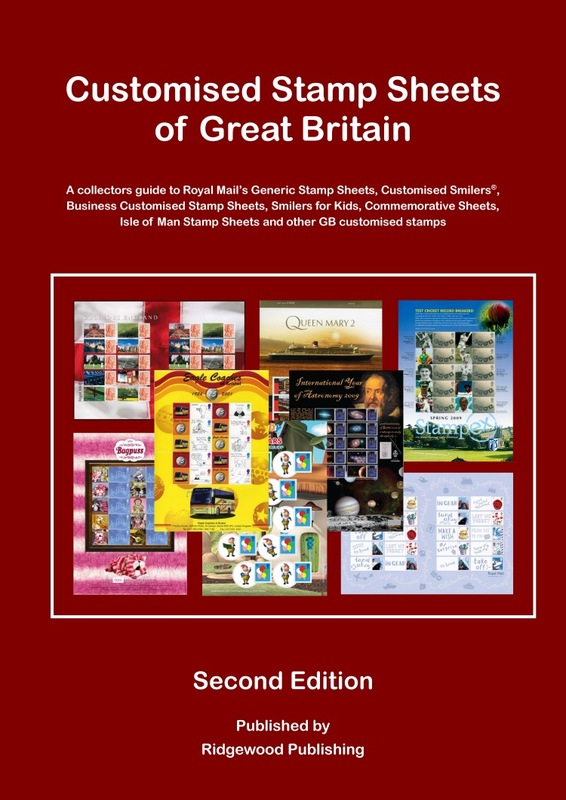 Royal Mail have provided further insight to their stamp issuing programme for 2019 at a Trade briefing held recently at Spring Stampex. Most of the following will, by now, be old news but for those of you who don't spend their life thinking about Royal Mail's next issue, here is a brief summary of what we know today. As you may have guessed by the longevity of this website blog, I just love Smilers and the stories that surround them. I started this website over 10 years ago with help from like minded individuals and we have managed to keep it going through feast and famine. Now that Royal Mail have pulled the plug on Business Customised Sheets and personalised Smilers the news columns seem a bit thin on new stuff to me. In an effort to brighten up the column I am turning to some old stories and hopefully these may stimulate collector interest into this area of stamp collecting. The stories behind the production of these sheets can be quote interesting and some of these have been captured either in the Smilers catalogue or in this column in the past. But what of the sheets that never made it? Not a huge number failed but nevertheless some have interesting stories and some are just nice to look at and to think of what might have been! I have therefore decided to feature a few designs from time to time for the enjoyment of my blog readers. 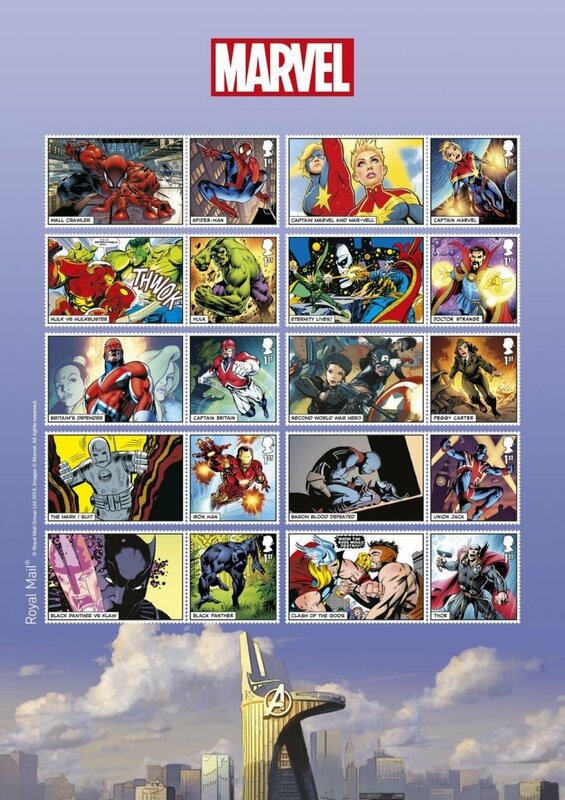 As hinted at earlier, Royal Mail have now brought forward their official launch date for the mega Film/TV themed issue planned for March to today and have announced a set of stamps and collectibles (far too long for me to list them all) based on the theme - Marvel Comics. There are stamps, retail booklets, prestige booklets, limited edition prestige booklets, first day covers, presentation packs, framed sheets, more covers but no comics I am reliably informed. 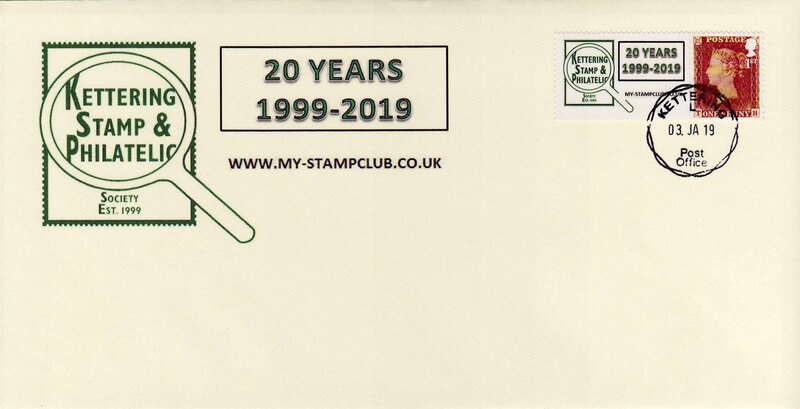 More specifically, RM have confirmed plans to issue a Generic Stamp Sheet on 14th March 2019 comprising 10 stamps and labels although, I have to confess, I am not sure which are the stamps and which are the labels!! Royal Mail's 2019 stamp programme has been officially announced and an issue scheduled for March is under strict secrecy until it's official launch on 21st February 2019. A regular to these columns contacted me yesterday with news of an apparent "new find" based on the Paddington Bear generic sheet from 2006 (GS-030). 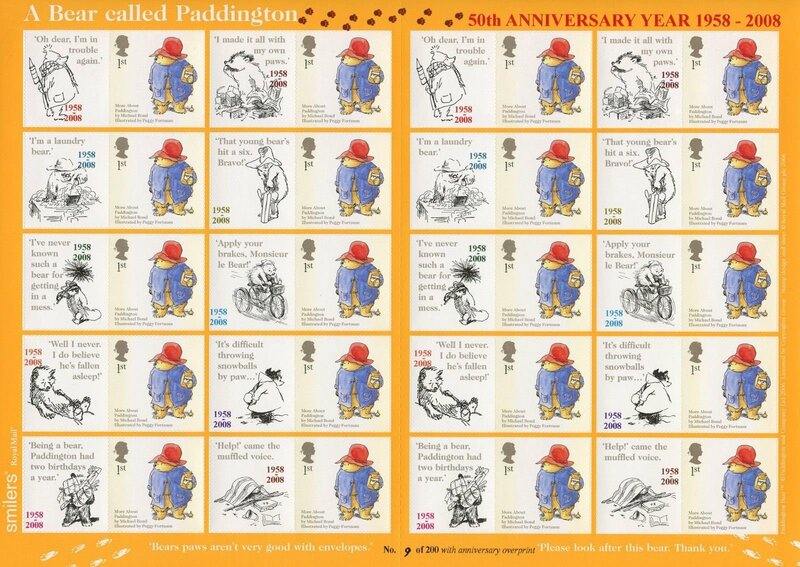 ".... a newly discovered Paddington Bear Sheet which had a printing of 200 Sheets although 190 were used for postage leaving 10 available to Collectors. Every Label is over-printed with the Anniversary and there are additional 'bear paw' footsteps and information." My response was concise and to the point -No! I did provide the contributor with my opinion which I will share with readers (see below). However a little more by way of context was added by another reader earlier today who advised me that these sheets (3 of them) had been sold on eBay for an undisclosed amount but that they had originally been offered by eBay seller BFDC1947 from Leicester (Rings a bell!) for £200.00 each! An amazing mark- up on sheet that originally cost less than £7.00! Click on the image above to see the completed eBay listing and form your own opinion. 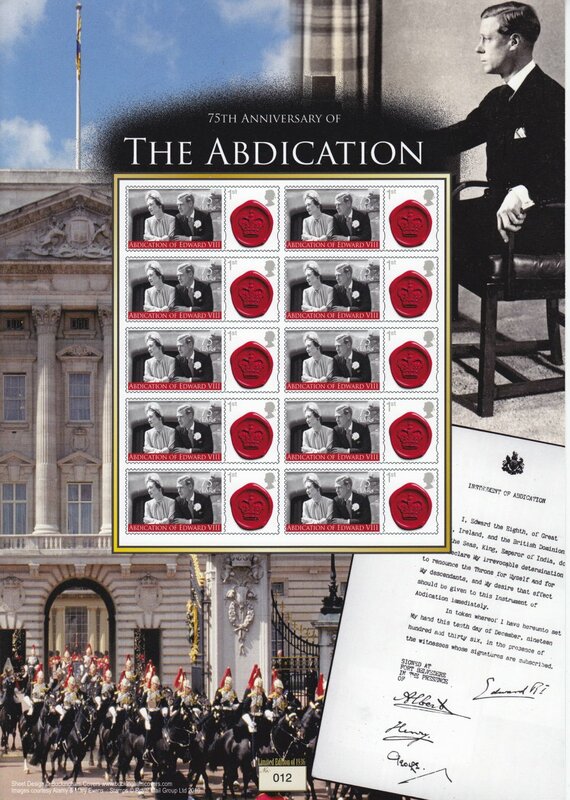 Mark Brandon has been in touch to let me know about a rather unique Commemorative Stamp Sheet Pack from Royal Mail. 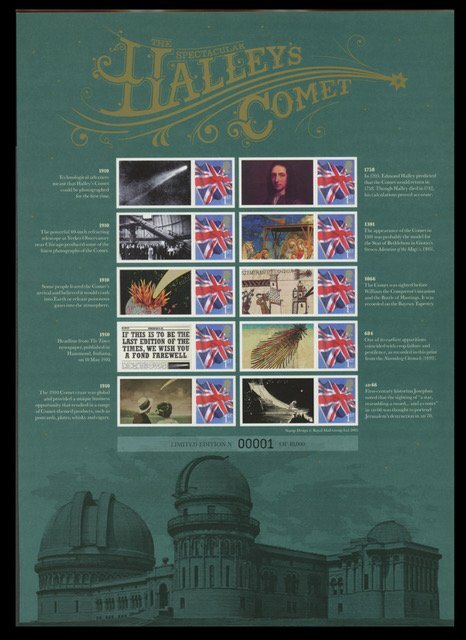 The Halley's Comet Commemorative Stamp Pack was issued in May 2010, just in time for London 2010, and as these were still in their infancy Royal Mail numbered these individually, a practice that has since evaporated in recent years! RM, an eagle-eyed contributor to this column, spotted a hitherto unseen Smilers item on eBay earlier today and gave me a call to alert me to the find, for which I am very grateful. It has allowed me to share the following rare snippet of Smilers news. 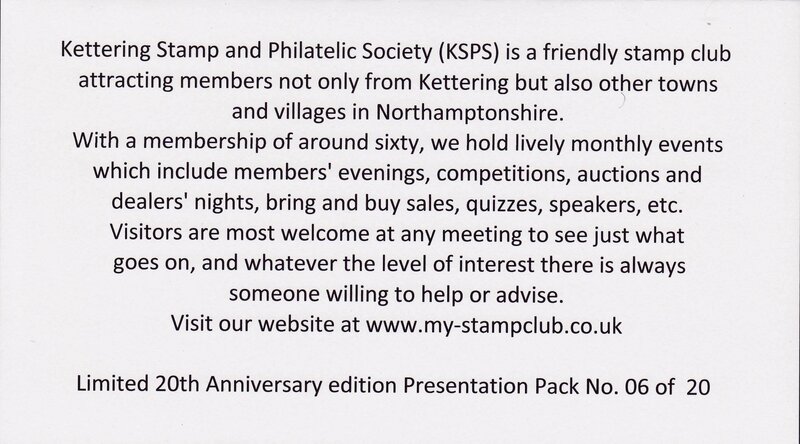 The Kettering Stamp & Philatelic Society celebrate their 20th Anniversary this year and have produced a presentation pack featuring two personalised Smilers stamps. The club originally planned to do a pack to be given free to all of their members as a thank-you along with a selection of covers and generic sheets to sell, to raise funds for the club. Two sheets of both the Penny Red and Penny Black Smilers stamps were produced initially last year for committee review and approval. However when the Club decided to order a further 30 sheets of each Royal Mail had stopped accepting new orders. 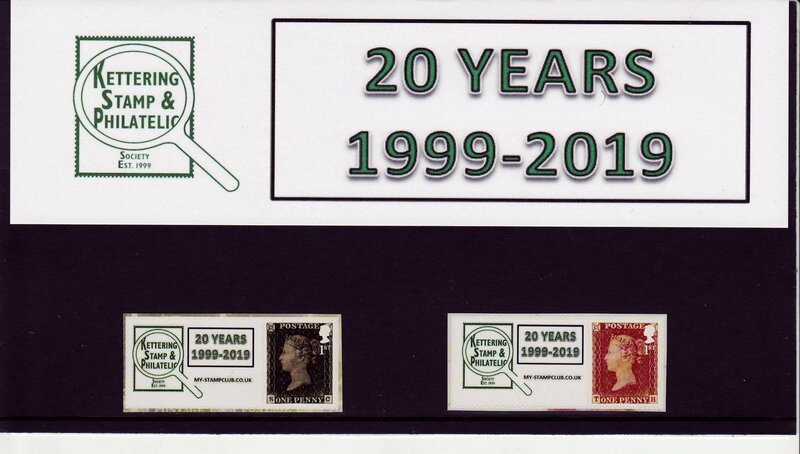 As a result they decided to produce 20 Presentation Packs containing one of each stamp and tab, 20 years so 20 packs at £20 each to raise funds for the club. 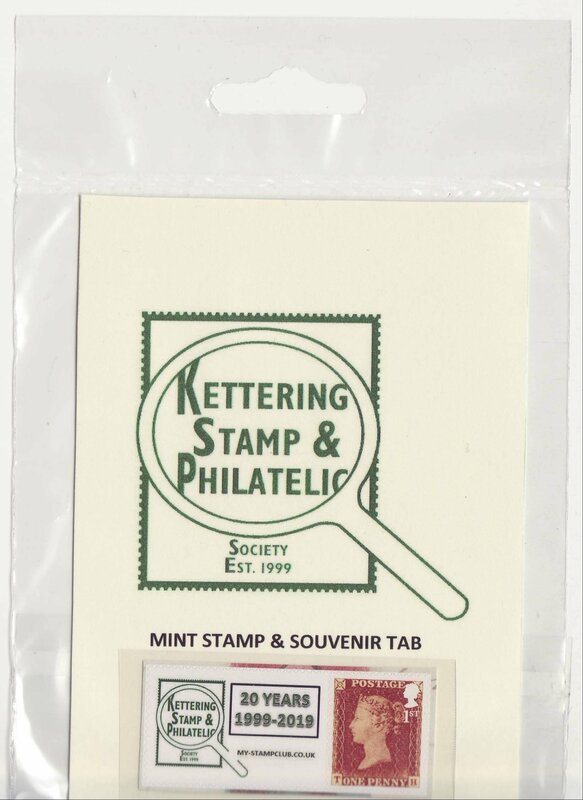 The club also produced 10 souvenir covers of each design with a local Kettering postmark, although I understand there are very few of these left. Finally, the club also made available a small quantity of single Smilers stamps sold in plastic bags as follows. Following on from the past couple of years I have produced a limited edition themed sheet commemorating the Lunar New Year, Year of the Pig. As with last year I hope to produce a First Day Cover in February using these Smilers stamps/labels but that will be dependant on the availability of a suitable special hand-stamp marking the event, details of which have yet to be announced, more later. For those interested in collecting the sheet here it is! 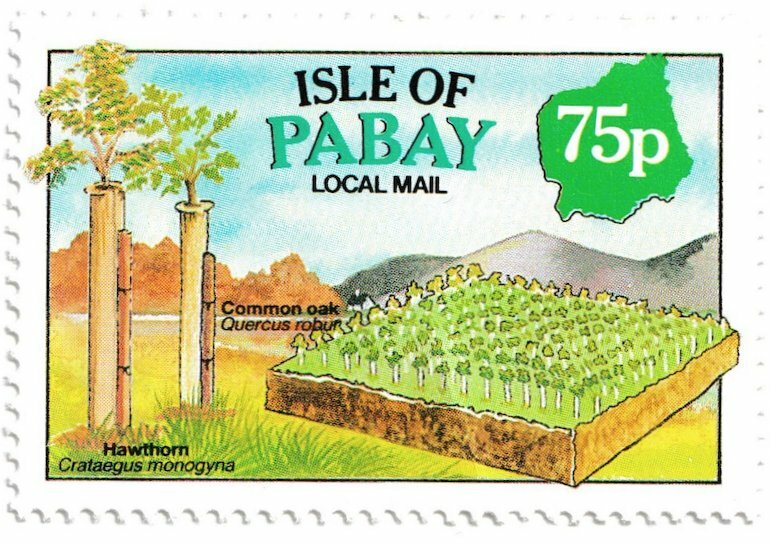 The Isle of Pabay Themed Smilers sheet for 2018 is out and this year it features an image used for an Isle of Pabay 75p local stamp. With a change in Royal Mail's policy this year increasing the minimum order number of personalised themed sheets to c. 40 we believe, it may well be the last themed sheet from Isle of Pabay folks, let's hope that Royal Mail relax this policy going forward. 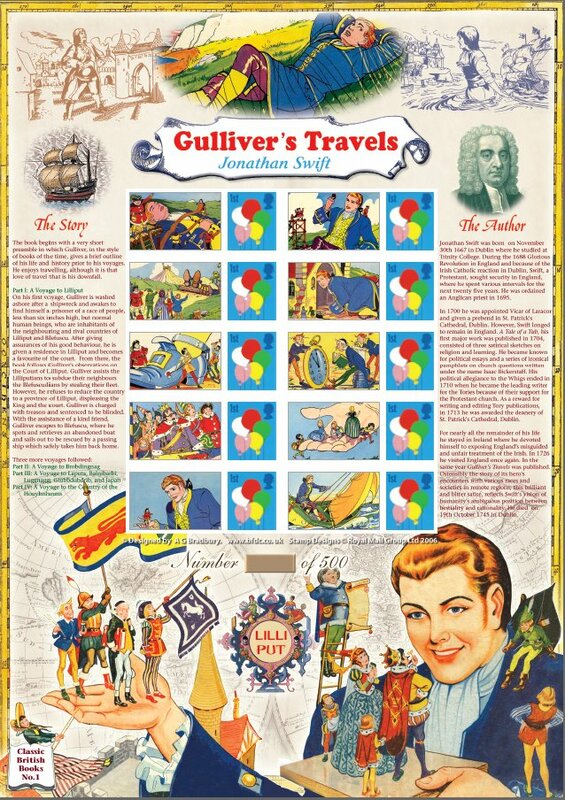 The interesting thing about this sheet is that Royal Mail have reverted to stocks of Glorious Scotland with the Rampant Lion stamp rather than the Saltire flag which appeared unannounced a couple of years back. Could it be that Royal Mail stocks are being wound down by Royal Mail and as soon as they have been used up, that will trigger the end of the personalised formats? Only time will tell! As the delights of Christmas gently recede into our memories for yet another year it's time to look forward to 2019 and all the delights that the year holds! The PTS have announced their forthcoming Spring STAMPEX exhibition Business Customised Smilers sheet which will be available for purchase from the Spring STAMPEX event, to be held as usual at the Business Design Centre 52 Upper Street, London, N1 0QH, during the period 13-16 February 2019.